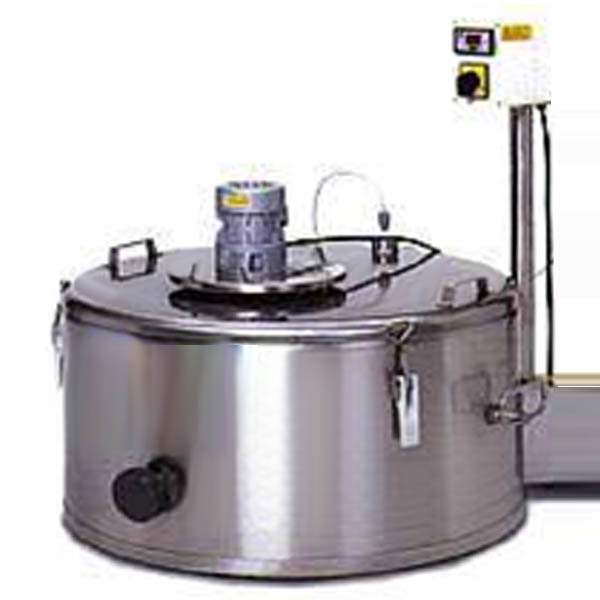 Cheese making vat for mini dairy plants and for small processing volumes. 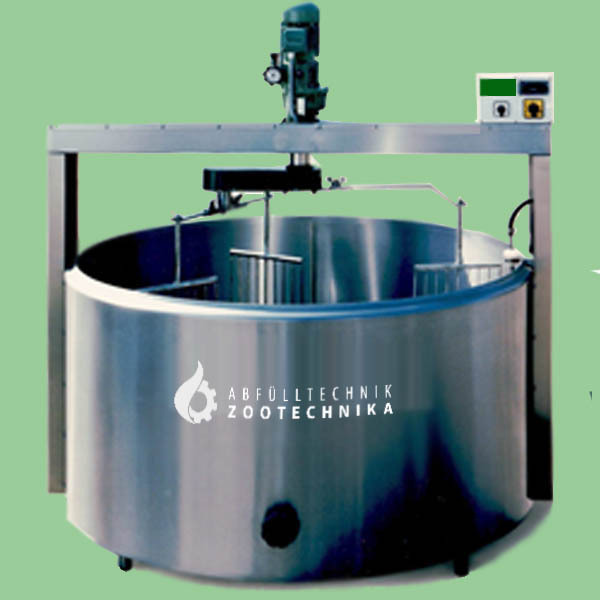 Cheese kettles or cheese vats are are triple-walled, insulated containers, completely made of stainless steel, with special agitators and cover versions, different diameters at the outlet and outlet valves, on demand also available in mobile version. water inlet of cheese making vat 50 - 300: 1/2"
water inlet of cheese making vat 450: 3/4"
water outletof cheese making vat 50-300: 3/4"
water outlet of cheese making vat 450: 1"
Remark: It is not allowed to use the tank under pressure! Voltage: 3 x 400 V/N/PE-50 Hz. Cheese kettles in bridge construction are offered for processing larger quantities of milk. ©2016 Zootechnika Maschinenbau GmbH | Zootechnika Machinery Ltd. | Zootechnika Gépgyártó Kft.